Love it or hate it, No Man’s Sky was the most important, influential video game of 2016. I’m not talking about the rights and wrongs of developer Sean Murray’s pre-release interviews, or the state of the space game at launch. Enough has been said on both those topics already. I’m talking about the fallout, and what it means for video games in 2017 and beyond. 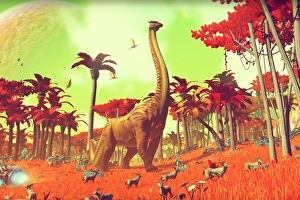 What’s clear is some players felt misled by Hello Games. . Some got one from Valve. Whatever your feeling on it, No Man’s Sky caused one hell of a shitstorm. But this wasn’t a by the numbers video game shitstorm. This one – and the industry noticed.